And it was Coachella-themed, too! 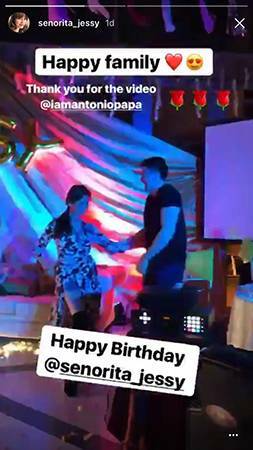 On Sunday, December 3, Jessy Mendiola was given a surprise Coachella-themed party by beau Luis Manzano to celebrate her 25th birthday. Luis and Jessy's close family and friends held the birthday bash in a townhouse in Quezon City. 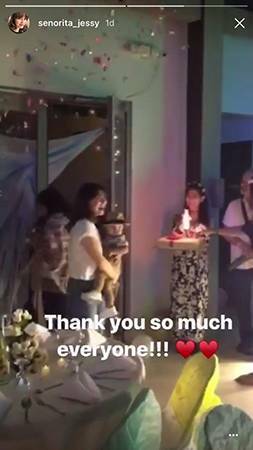 In a video uploaded on Instagram, Jessy was moved to tears when her guests sang her a happy birthday. 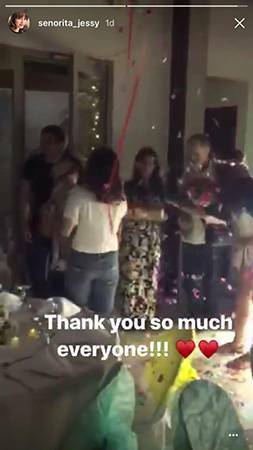 Following the surprise, Jessy took to Instagram to express her gratitude for the kind gesture. In the caption, the actress wrote, "Overjoyed. Thank you, everyone." On the day of Jessy's birthday, Luis posted a heartfelt greeting for his girlfriend of over a year. With photos from their recent travels, the actor and host captioned, "Happy birthday to my howhow @senorita_jessy, you are the one that ties everything in my life together. All the good things happening in my life wouldn't truly be or feel good if I didn't have you to share them with. Happy birthday my howhow. I love you!"